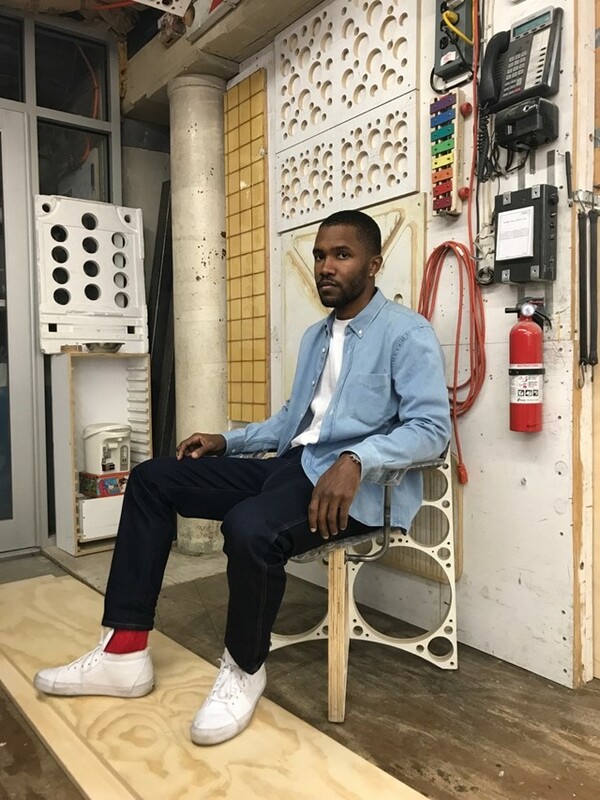 Frank Ocean returned to Apple Music’s Beats 1 radio earlier today with a US midterm elections special for his Blonded radio show, where he went off on right wing conspiracies like #PizzaGate, voter suppression, and the fair distribution of taxes (“I already get taxed quite a bit, and I wouldn’t sweat it if I got taxed more”), as Pitchfork report. Evidently still suffering from a serious bout of midterms fever, Frank is also offering out free merchandise to any fans who can prove that they voted. 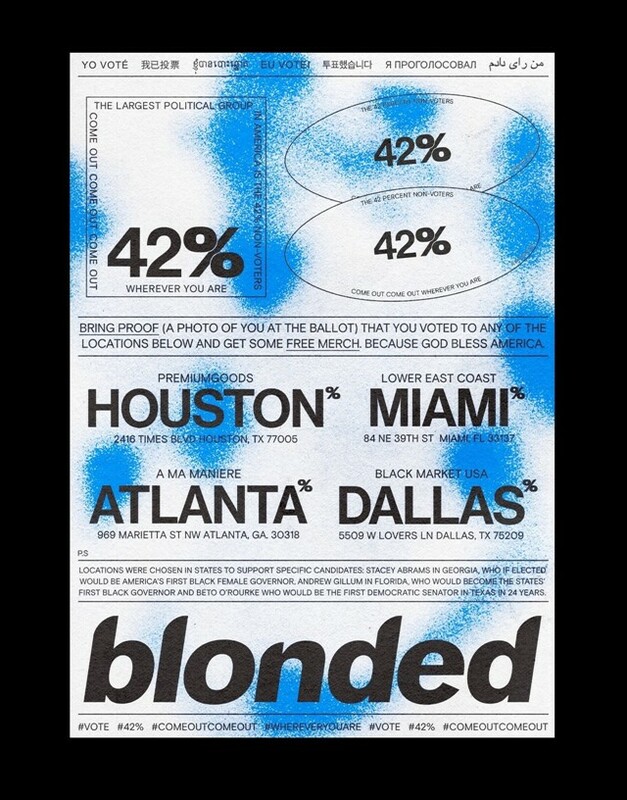 There are pop-up shops in Houston, Miami, Atlanta, and Dallas, states chosen because of the important votes happening there today. But also, be careful, because although the flyer doesn’t mention this, it’s technically illegal to take a photo of yourself at a polling station in Texas, Florida, and Georgia. Merch or jail: a tough decision. Frank also sent merch out to the parents of Joaquin Oliver, one of the students killed in the Stoneman Douglas High School shooting in Parkland, Florida, according to The Guardian’s Lois Beckett. Oliver was a fan of Frank Ocean’s music. Beckett also notes that shirts were sent out to March For Our Lives, the student-led gun control movement founded after Parkland. Read more about why these midterm elections are so important, and check out full pop-up details on the flyer below.